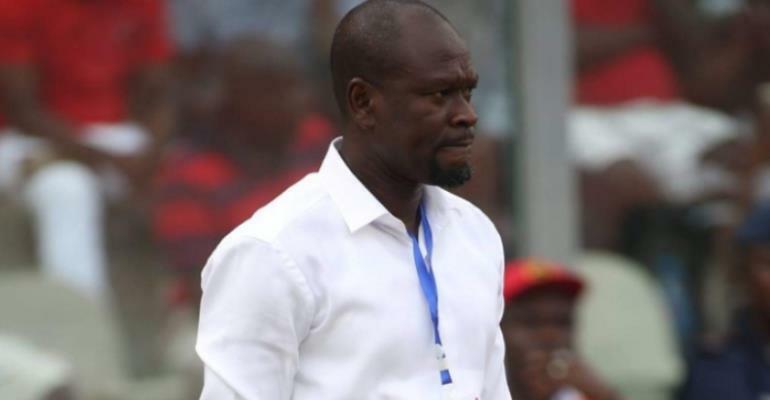 Kotoko coach, CK Akonnor has insisted he does not fear to be sacked by the Porcupine Warriors after failing to advance to the quarterfinals in the Caf Confederation Cup. The former Ghanaian international's future at the club looks shaky following his side’s painful exit from the CAF Confederation Cup. Widespread local media reports in Kumasi on Tuesday suggested the former Hearts of Oak gaffer could be axed. Asked by Atinka FM if he will be shocked when fired the former Black Stars skipper responded: “Oh why will I be shocked? It’s football and a lot of things happen. In normal life, the reason why we get shocked is when you don’t open up to anticipate anything. Akonnor took charge of the team six months ago and took only three months to prepare the team for their African adventure, which ended at the group stage after a 2-1 defeat to Zesco United over the weekend.